The FOCAC hence represents a global governance platform for Chinese decision makers to discuss the agenda plans and future development goals with their African counterparts (Benabdallah 2016a). The Forum also provides the Chinese leadership with opportunities to enhance its role in global governance. First, it offers Chinese policy makers a feedback loop from African leaders so that they can continuously adjust and adapt their policies. Second, interaction on such a wide range of subjects enhances the international practice and credibility of Chinese practitioners, soldiers and policy makers alike. Finally, projects implemented via the FOCAC give China a chance to test its development-led model on African contexts and thus gain experience and feedback (Benabdallah 2016a). Indeed, the FOCAC plays an important role in China’s regional forum diplomacy, which the PRC has been implementing elsewhere in the world. According to officials in Beijing, regional forums are efficient and time-saving, and they also reflect China’s ‘new type of major power relations’: instead of focusing on major powers, this group cooperation diplomacy is aimed to gather comparatively smaller countries – a move that makes it easier for China to promote its key official priorities and development model (Ekman 2016, 1). Regional forum diplomacy, in turn, is part of a wider attempt to become a global normative power through seeking recognition by other fellow developing countries (Alden and Alves 2017). Norms Evolution and the Challenges of Security in Africa.” The China Quarterly 221: 123–142. Large, Daniel. 2011. 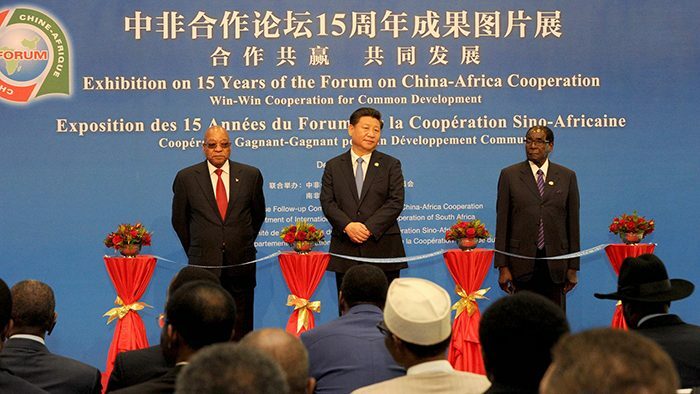 “China and Post-Conflict Reconstruction in Africa: The Case of Sudan.” SAIIA China in Africa Project. Policy Briefing 36. Weldes, J. 1996. “Constructing National Interests.” European Journal of International Relations 2(3): 275–318.